Ok, let's see if I can get this right.In Plato's camera, Paul Churchland is trying to introduce a new theory of how the human brain learns. His approach is pretty remarkable because it is completely different from most other theories like it. His basic concern is to show how the physical processes in the brain interact with the environment and learn from it. The first two-thirds of the book deal with neuronal networks in the brain. These networks are made up of billions of neurons and trillions of connections between those neurons. It is these connections that enable the brain to learn from the reality in which it lives. During the first 10 or so years of life the connections between the neurons are slowly adjusted so they can better register the similarities and differences between objects encountered in reality. So our brains are able to distinguish between, say, a dog and a cat because the neurons are being activated so that they create representational maps of the objective world.There are a few really revolutionary ideas that Churchland pushes in this book. The first is that the brain does not operate based on language. Instead, the brain creates complex, high dimensional maps of its environment that serve to locate the owner of the brain within the spatio-temporal world through a process called 'indexing'. The brain uses whatever senses are available to place a 'you are here' sign on the map currently being deployed. Indexing allows the creature with the brain to utilize a wide range of maps for the many different situations that might be encountered in objective reality. Each creature can have a variety of different kinds of maps at its disposal and these maps can differ in accuracy or detail depending on how often the creature has experienced that sort of situation. Creatures will develop maps of the terrain, of sounds, and things like facial recognition in order to survive in the natural world. Churchland presents compelling evidence based on years of research and experimentation with artificial neuronal networks that this is in fact how the brain interacts with and learns from the world. During his discussion of maps, Churchland makes the surprising claim that the brain recognizes causal processes before it recognizes objects. What this means, as far as I understand it, is that the brain pays attention to motion before it pays attention to the actual structure of the object it is viewing. Churchland introduces something called Hebbian Learning, that can be observed in artificial neuronal networks. Hebbian Learning claims that a neuron that is already activated (by an electro-chemical charge) will be more likely to learn from subsequent electro-chemical stimuli to that already activated neuron. This means that the basic patterns to which brain is exposed are reinforced by the entire network of neurons and their current activation levels through recurrent pathways in the brain. These recurrent pathways make it so that neurons that are higher up on the 'ladder' are able to send electro-chemical impulses downward to further stimulate the sensory neurons that initially encountered the world. For example, consider an arrow in flight. Hebbian learning makes it so that a creature will first recognize that the arrow is flying, rather than the shape of the arrow. This idea is directly opposed to many well-established philosophical ideas. Most of the time, we think that we recognize an object (the arrow) first, and only afterward do we recognize the fact that the arrow is in motion. If what Churchland says is true (and there are 30 or so years of experimental data that confirms that it is), this means that many philosophical ideas will need to be reconsidered for validity. Churchland also talks about the impact of social influences on learning in the brain. He says that, even though the theory he is presenting says that the brain at its most basic level is not language-based, that language and society are means to a massive accumulation of data and maps. These societal institutions allow for a sort of cognitive activity outside of the individual and could potentially mean that cognition can go on indefinitely. This makes sense to me because that seems to be what is happening. Society has now found an efficient way to store and catalogue all the data and information that has come about through human endeavors. Churchland also says that language serves a regulatory purpose in that it allows humans to express ideas to the community for verification or refutation. This is essential especially for science because it provides the basis of peer-review. It allows us to come to a consensus about whether an idea is factual or fanciful. There is only one thing I am hesitant about. The language the Churchland uses when talking about society could easily be interpreted in a Hegelian manner. In fact, his idea about the 'cognitive organism' seems dangerously close to Hegel's idea of the mind of the age (260). However, Churchland is adamant that this is not what he has in mind, and in fact there are several places in the book where he points out the failings of Hegel's theories. I hope that these are kept in mind in the future so we don't fall back into an idealist state of mind that does not stimulate scientific research.This book was really difficult, and I really had to stretch myself to get through it. It is very much worth it, though. This review is only a surface-level introduction, and there is a lot more that I could have talked about. But for the sake of space and minimizing the number of interpretational errors on my part, I have written a short review. Churchland has presented solid evidence for his claims, and I'm interested to see what happens in the field of cognitive science after this book has been thoroughly digested. I quit because it was far too difficult for me, but I have all the intentions to go back to it somewhere in time. Churchland's writing style leaves much to be desired, and I believe he could have said what he needed to say in about 15 pages. However, what he wanted to say was much more, that is, to take what amounted to cheap shots at folk psychology and linguistic theories of cognition. I'm not saying I agree with either or disagree with connectionism, but this book was interminable, and Churchland fails to address main issues like the role of affect, how memories are formed, and where procedural knowledge lies. I do think the concept of recurrent networks could be important, though. Felsefenin 2500 yıllık problemlerinin artık günümüz bilimi sayesinde nasıl çözüldüğünü anlatıyor. Warning: This book is really not for folks who are interested in an introduction to cognitive science, philosophy of mind, or philosophy of science. Churchland writes with the baseline expectation of serious academic experience in all three of these areas, and isn't very generous in giving extrapolations of the fundamentals.The second best book I've read this year, behind Action in Perception, Churchland's writing is wonderfully economical and his arguments are thorough. He does take the optics metaphor a little too far at times, and it really isn't clear what exactly he means when he compares people/brains to "eyes" or "cameras" because there is such a major differene between the classical and the contemporary conceptions of those two things.Despite some lack of clarity in the introductory metaphor, Churchland's writing covers an enormous amount of ground in contemporary philosophy of mind. I haven't read any of Churchland's book-length work before this, but if it is similarly rigorous, I can definitely see myself reading a lot of it in graduate school. He packs the opening three chapters with a detailed account of neural mapping and concept formation based on vector-theories, and the work is really staggering.There are a lot of philosophical problems, especially with the philosophy of mind, that Churchland is writing about. It seems to be very heavily neuro-centric, though I don't really think that is necessary for a lot of the discussions in the book. In that sense, Churchland's ideas are a little bit dated, but that's to be expected from a guy who has been a staple of the cognitive science field and philosophy of mind for the last 30 years.The reason the book is so cool, though, is that the fourth chapter focuses on a broader philosophy of science informed by Churchland's account of concept formation. The philosophy of science that Churchland presents is a unique alternative to the sort of "Kant v. Hume v. James/Pierce" discussion that is so common, and I think that it may prove to be incredibly valuable for a number of up-and-coming philosophers of science, hopefully including myself.For those interested in the cutting edge of epistemology, philosophy of mind, and philosophy of science, I strongly recommend this book. I often struggle to find extremely rigorous epistemology that is also in contact with good philosophy and history of science, and vice versa. Churchland's text sets a high bar of what that combination should look like in today's academy. 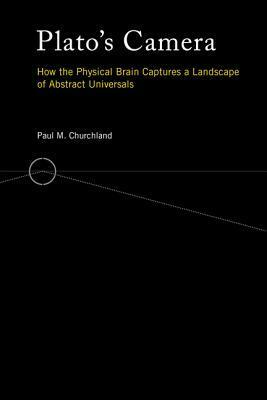 Paul M. Churchland - Paul Churchland is a philosopher noted for his studies in neurophilosophy and the philosophy of mind. He is currently a Professor at the University of California, San Diego, where he holds the Valtz Chair of Philosophy. Churchland holds a joint appointment with the Cognitive Science Faculty and the Institute for Neural Computation. He earned his Ph.D. from the University of Pittsburgh in 1969 under the direction of Wilfrid Sellars. Churchland is the husband of philosopher Patricia Churchland, and the father of two children.Churchland began his professional career as an instructor at the University of Pittsburgh in 1969; he also lectured at the University of Toronto from 1967-69. In 1969, Churchland took a position at the University of Manitoba, where he would teach for fifteen years: as an assistant professor (69 - 74) and associate professor (74 - 79), and then as a full professor from 1979 - 1984. Professor Churchland joined the Institute for Advanced Study at Princeton University in 1982, staying as a member until 1983. He joined the faculty at the University of California, San Diego in 1983, serving as Department Chair from 1986 - 1990.Churchland has supervised a number of PhD students, including P.D. Magnus (now at the University at Albany) and Philip Brey (now at the University of Twente).Along with his wife, Churchland is a major proponent of eliminative materialism, which claims that everyday mental concepts such as beliefs, feelings and desires are theoretical constructs without coherent definition; hence we should not expect such concepts to be a necessary part of a scientific understanding of the brain. Just as a modern understanding of science has no need for concepts such as luck or witchcraft to explain the world, Churchland argues that a future neuroscience is likely to have no need for "beliefs" or "feelings" to explain the mind. Instead, the use of objective phenomena such as neurons and their interaction should suffice. He points out that the history of science has seen many previous concepts discarded, such as phlogiston, caloric, the luminiferous ether, and vital forces.